We all know that the Huawei Mate 10 Pro has a Neural Processing Unit on it with the HiSilicon Kirin 970. This helps the A.I. recognize objects for photography, but it turns out it can do more than that. Huawei wants to drive the point that the Mate 10 Pro's A.I. capabilities and machine learning algorithm does not stop at just photography. In fact, they got the Mate 10 Pro to pilot a driver-less car in just 5 weeks. They want to test the Mate 10 Pro's object recognition accuracy and see if it can avoid an obstacle in its path. 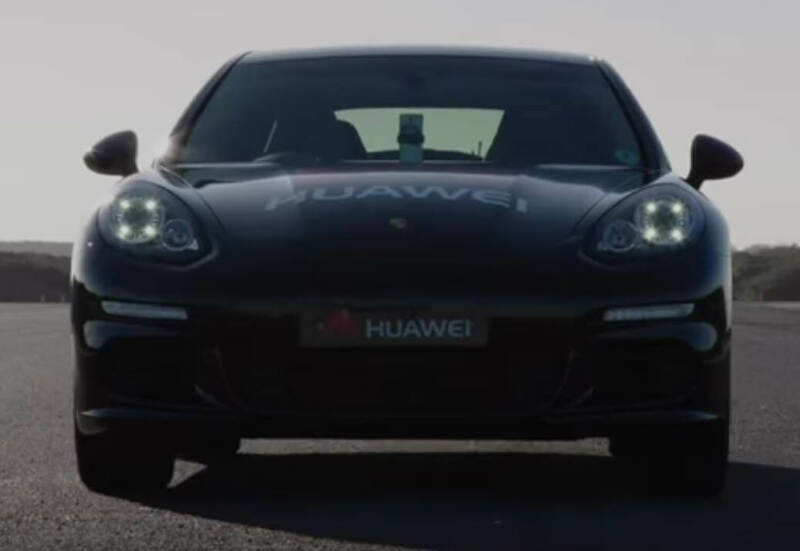 In the test, they used a specially rewired Porsche Panamera so that the Mate 10 Pro can control it. The Mate 10 Pro is then placed on the car's dashboard. You might think that it is using its Dual Leica Lens to scan the road, but Huawei said that the Mate 10 Pro basically functions as the brain of the car and it is using the car's own sensors to make decisions on the go. This means that the NPU and the Mate 10 Pro's hardware process the data collected by the Porsche. They called this project "RoadReader" and Huawei apparently only allotted 5 weeks to complete it. They claim that their special Porsche Panamera can recognize more or less a thousand objects. The video demonstration they had had a dog in the middle of the test track and the car recognized it immediately and along with Mate 10 Pro's NPU decided on an evasive maneuver to avoid it. Huawei believes that consumer grade NPU chips can rival the chips used specifically for autonomous cars. They plan to showcase the RoadReader project on the 2018 MWC which is going to be held in Barcelona, Spain.